Styled with leila bodysuit ls and aaliyah skirt . 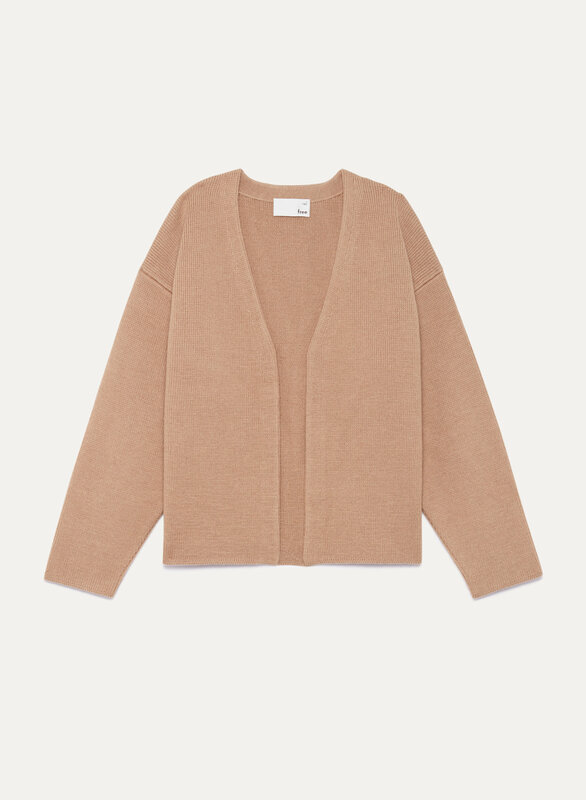 An ideal transitional-season piece, the Tina is a kimono-inspired cardigan made of incredibly soft, extrafine merino. Its square silhouette and dropped shoulders make it the perfect throw-on-and-go layer. 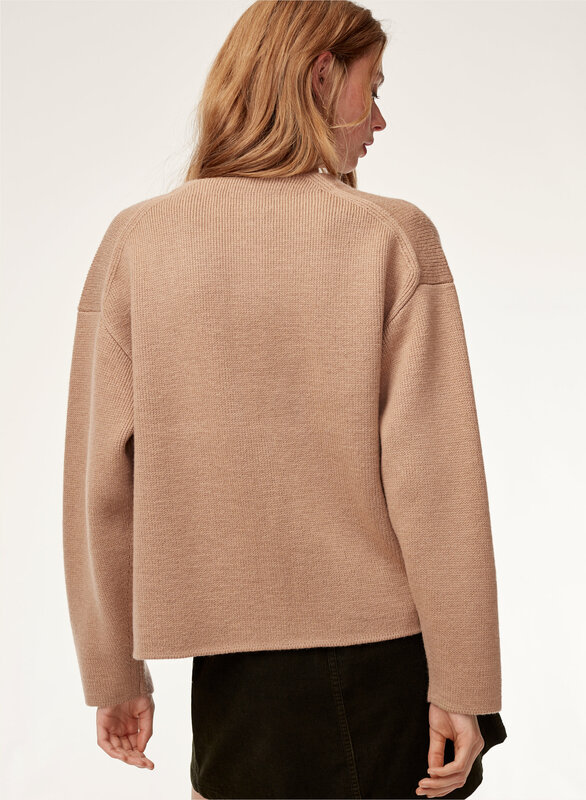 This sweater is meant to be sort of loose, shapeless. It does run large, though. I normally wear a 6/8 or Medium and I had to exchange for a small because the sleeves were too long and they were too wide to scrunch up. But the weight is gorgeously heavy, it falls nicely. The gray sweater has a lovely lavender cast. A good quality sweater , warm , and nice looking. The sweater is exactly the same as how it looks on the modelling pic!